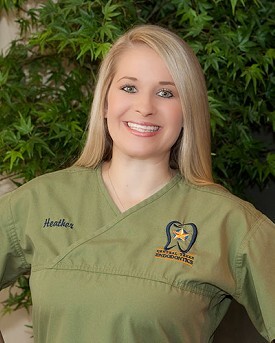 Heather is our Clinical Manager. She has assisted Dr. Dunavant since the office's inception. While dental assisting is her primary role, she also provides guidance and training to the other dental assistants in the office. Her patience and readiness to help teach others is one of Heather's many strengths. In addition, her warm heart and calming demeanor ease patients' anxieties about their root canal treatment. Heather and her husband David stay busy keeping up with their son Brody and daughter Brinley.